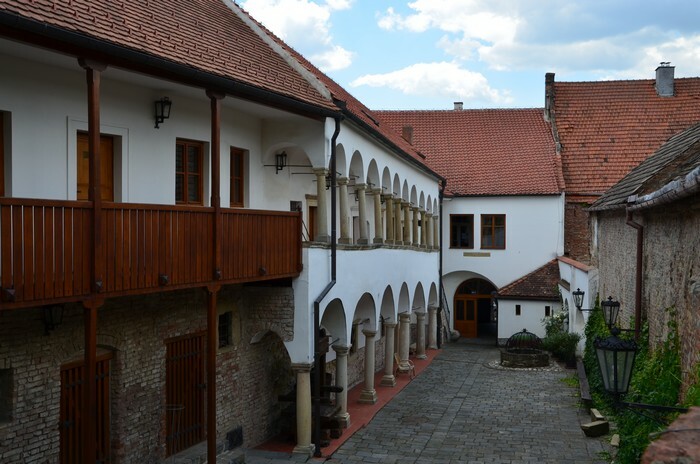 There were many burgher houses built in the period of the greatest expansion of the city in the 16th the century, but only a few of them have remained until today. The most important representative of the original Renaissance buildings in the square is the House called “U Synků”. This Renaissance town house from 1579 bears the name of the last owner, the merchant Bedřich Synek. 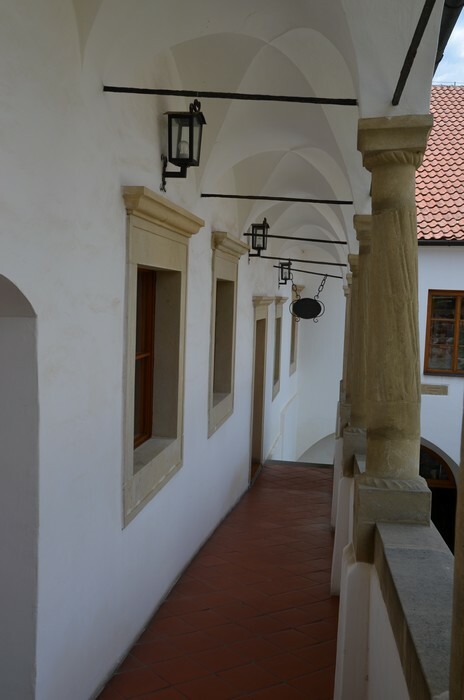 The courtyard wing of the building is decorated with two-storey arcaded loggia. 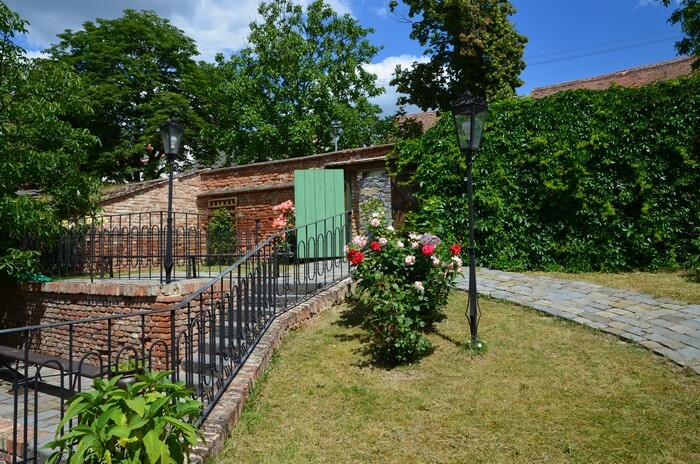 In the courtyard, there is an original well and one of the Hustopeče attractions, Monument to the wine yeast. After the renovation in 2001, valuable vaulted rooms and historic cellars were obtained. Today, the entire object is used for culturally social purposes. There is a Tourist information centre, Municipal Museum, Gallery and a permanent viticulture exposition.